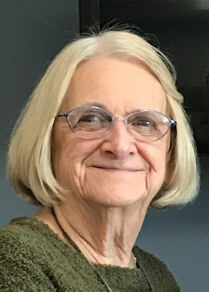 Virginia A. “Ginny” Nadeau (nee O’Brien), 81, of Vermilion and formerly of Lorain, died Monday May 7, 2018 at Mercy Regional Medical Center in Lorain after a short illness. She was born November 7, 1936 in Lorain and had resided in Vermilion for the past three years. Ginny graduated from St. Mary High School in Lorain in 1954. She was a long-time member of St John Catholic Church in Lorain. She enjoyed reading and casino gambling but most of all was a mom, grandma and great grandma who enjoyed taking care of her family. She is survived by her daughters: Andrea Cuson (James) of Wellington, Lisa Rogers (Brian) of Lorain and Tracey Strehle (Joseph) of Amherst; grandchildren: Cynthia Stuart (Michael), Aaron Cuson, Jeffrey Gaines, Elizabeth Coughlin (Jordan), Jorden Strehle and Tayler Strehle; great grandchildren: Tanner, Logan and James Cuson, Piper Stuart, Lola Coughlin, Zoey Coughlin and Christian, Nicolas and Ethan Rogers; brother Robert O’Brien of Lorain and sister Geraldine Reid of Westlake. She was preceded in death by her husband of 57 years Richard E. Nadeau on July 13, 2015, parents Eugene and Agnes O’Brien (nee Gabele) and sisters Frances Plato and Mary Katherine Daly.